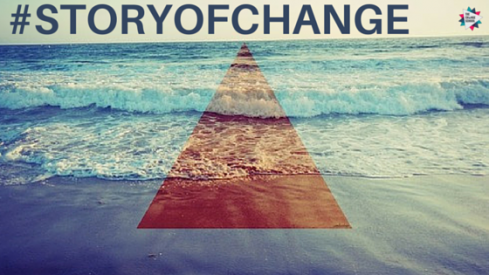 This Change Interview features Michael Lee, our #Humansofchange as he shares his deep #Storyofchange with us. Thank you Michael for your open sharing and honesty. I’m just going to talk about the Stillbirth and Career change experience. Went to Israel for a "healing" trip. Needed to see the bible come to life, and that God was real, and really good. Blessed to have very supportive and understanding clients. They reassured me that they purchased their policies because of me, and not because of the previous company. 4. How has the change impacted the way you approached life and work today? I've never had to deal with death ever. This experience made me appreciate my wife and my children even more, and when my wife and I get into a fight, we remind ourselves of what we have been through, and that nothing is really worth fighting about anymore. I have a fresh appreciation for my work. There doesn’t seem to be a community in Singapore that brings families together who went through a similar experience (and that hospitals can tap on to channel these grieving families to). It was so crucial for us to actively seek out couples who had experienced the same loss, and to see that they had been restored with child(ren). We had friends come along, who asked us, “did you know so-and-so also lost their firstborn?” and we are so thankful for those friends and families who opened up and shared their journeys with us.